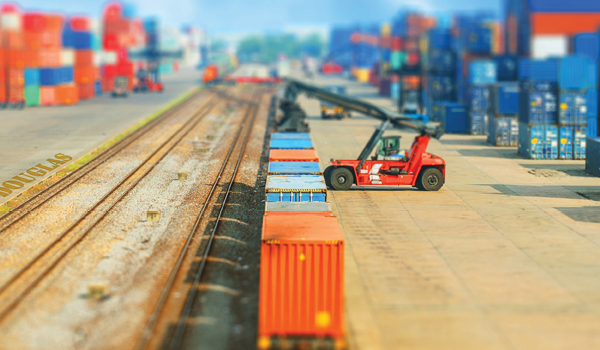 Intermodal is looking sharp to a growing number of shippers, thanks to tightening truck capacity, new service options, and infrastructure improvements. Following a slow stretch in 2016, intermodal transportation is picking up speed in North America. Total intermodal volume in the second quarter of 2017 was 4.5 percent higher than in Q2 of 2016, according to the Intermodal Association of North America (IANA). That represents the strongest growth in three years, IANA says. The biggest increase came in international intermodal freight; volume rose by 5.6 percent compared with 2016. But North American shippers have been moving more domestic containers and trailers, too. Volume for those boxes increased by 3.2 percent and 3.9 percent, respectively. Intermodal volumes ebb and flow in response to several related forces: truck capacity, trucking rates, and general demand for transportation. Until recently, in the United States, those forces were working against the intermodal market. "Increased competition by way of surplus truck capacity, paired with only modest increases in consumer demand, have been a driving force behind these trends," says Mark McKendry, vice president, intermodal at asset-based third-party logistics (3PL) provider NFI in Cherry Hill, New Jersey.